Give You Customers Your Company News & Events Here! The volunteers with Operation Kindness were very impressed with the size of our donation. We filled the back of Bille's car with toys, bedding, treats, food, and cleaning supplies that will benefit the entire shelter! A whole lot of animals found their furr-ever homes in the last month too! Congratulations to Copper, Delilah, Gypsy, Kaylee, Kirby, Lalita, Lorena, Lucky Charm, Ponzu, Sadie, Spunky, and Thomas! Join the Happy Tails Society; a group of dedicated friends committed to helping Operation Kindness save lives by pledging a monthly gift. Monthly pledges from $19 and up. Sign up for the Tom Thumb Good Neighbor program at their customer service desk. Every time you check out, Operation Kindness will receive a donation at no additional cost to you! Sign up for Kroger Community Rewards to connect your Kroger Card and donate a portion of your total to Operation Kindness every time you shop at no additional cost to you! Shop through the Amazon Smile program after choosing Operation Kindness as your charity of choice, and 0.5% of every Amazon purchase will be donated to Operation Kindness! 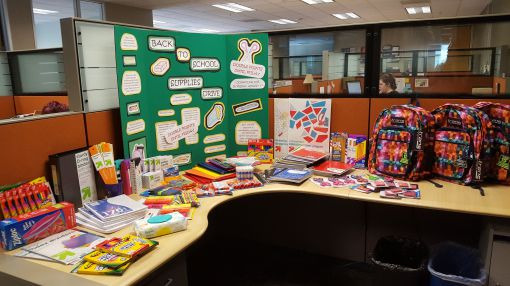 Our BACK TO SCHOOL drive, benefiting Metrocrest Services, was a tremendous success! 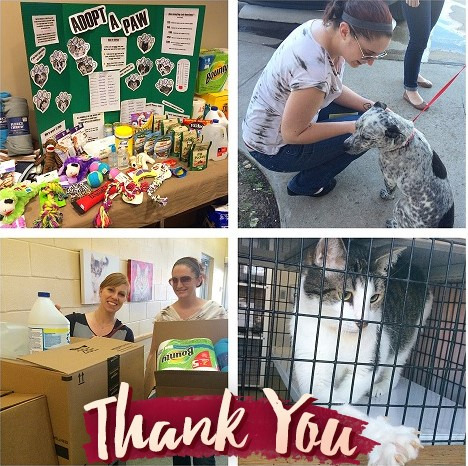 A huge thank you to all of our clients and employees who donated! More details about Metrocrest's programs here!